I have no idea how to find food on my own in the countryside.My iphone doesn’t work and there’s no charging it without a power outlet.My plan to stay with a friend’s friend’s family on a plantation and work the fields for a month lasted 3 days… and I always thought I was pretty tough! Obviously not as tough as a Cuban. To be honest, it wasn’t my smartest plan, anyway. Farm labour! What was I thinking? As I return to my city friends in Havana, I realise that all these Cubans manage to survive without iphones and toilet paper so I’m going to give it another go, this time in the city. They seem happy. They are healthy,have nice teeth and are well-read, educated people as a general population. It’s going to be hard not to be seen as a turista with my foreign clothes/hairstyle/gadgets and my bad Spanish is a dead giveaway, so I exchange my Diesel trainers for platform rubber flip-flops, jeans for obscenely short denim mini skirts, get matching fake finger-and-toe nails and hide my Swiss watch. I’m also eating all the local stodge and skipping my regular gym visits and yoga practice the whole time I am here, so now I feel like a genuine Cuban.I will also get very chunky very soon I may cave and sneak in some exercise after a week of this! 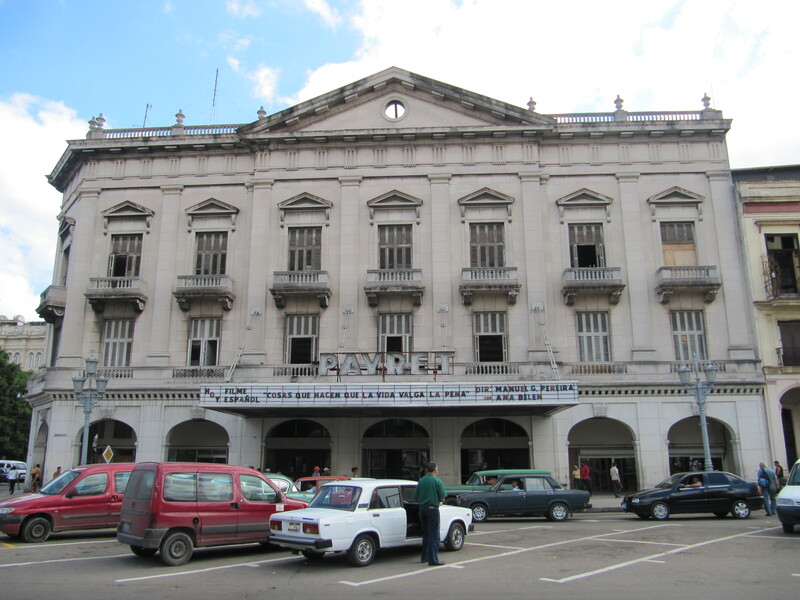 The first place I visit upon my arrival is the Gran Teatro de Havana to see the ballet.Tickets are about $15 for foreigners and 30 cents for locals. I slip through silently with my 30-cent ticket, holding my friend’s hand : so think I passed. We watch contemporary dance and excerpts from the Carmen Suite.The theatre is a beautifully preserved roccoco building in Centro. The Cuban ballet is comparable to the Royal Ballet and available to all, as are most of the arts in Cuba. This is quite a treat for many foreigners such as myself who have only been to one or two ballets and operas, as these can be prohibitively expensive in other countries. A great place to people watch is along the Malecon (Sea Wall) of Havana which runs through about 7 kilometres of the city. This is where young lovers meet, friends hang out and hustlers come to harass cashed-up tourists – being in disguise has many advantages. I love to see the Cuban shops in Calles San Rafael and Obispo. They are not geared towards tourists and although they may accept hard currency from foreigners they are intended for locals. I don’t know many travellers who would want to shop in a department store that displays a Chinese sewing machine, a pair of jeans and substandard soap powder in the window but…it’s something to see, isn’t it? We also go the the cinema quite a bit, either in La Rampa or Cine Payret opposite the Capitolio Building. Finding good places to eat in Havana is a challenge for most travellers – probably for Cubans as well, sometimes.Cuban cuisine isn’t exactly my favourite – lots of meat, cheese and bread and fatty stuff. Tourist traps such as Hemingways old haunts of El Floridita and La Bodeguita del Medio, all of which charge $40 (which is more than 2 months salary for most Cubans) for an ordinary meal and a drink or two. If you are going to spend that kind of money, take a Cuban friend and treat them at the lovely Cafe Del Oriente (Calle Oficios esq. a Amargura. +53 7 860 6686) for either good quality coffee and ice cream or some haute cuisine – the best in Havana that I’ve found so far. Ask around and the locals will always point you in the right direction: the best pizza in Havana on Calle San Rafael for 40 cents, or the lady across the road who sells guava smoothies and ginger beer. Often there are no signs. 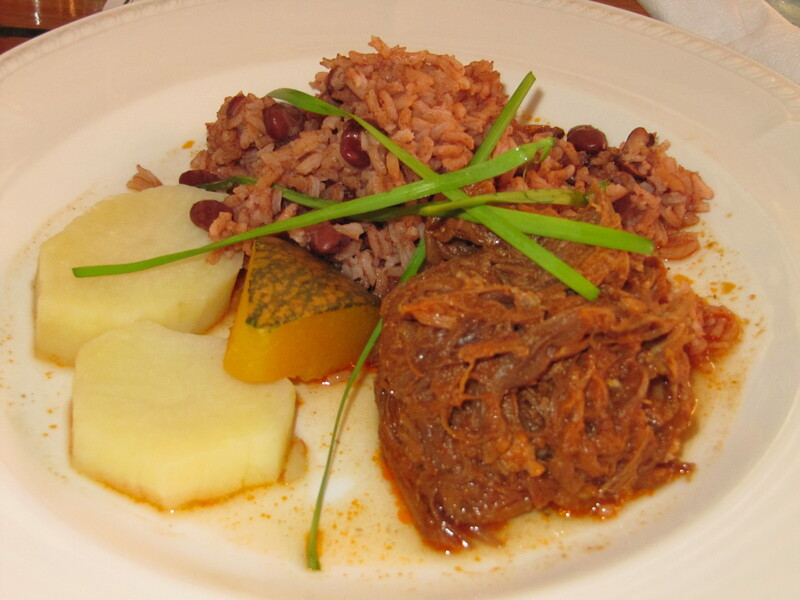 Reasonable and edible Cuban and international meals of seafood, pasta and meat can be found at La Roca in Vedado (Calle 21 y M) which is a 1950’s bar and restaurant where locals and foreigners mix. The decor is original and colourful, the air conditioning is always a relief. We went with my JA and his little girl and they seem to be fine with kids, a lot of places in Havana are like that as they treat children like real people – surprisingly few places do that! Live stand up comedians en espanol start performing late in the evening. Dinner and drinks for 3 people is about $18, depending on the order.I also recommend a Paladar called Casa Sarasua (Calle 25, Apt 510, entre H y I) for great Cuban cuisine and it’s really cheap. There is a place on Calle Obsipo that has wooden chairs and really big bowls of spaghetti for less than $1.Be warned: Paladares are non-government restaurants and are often in someone’s house with no signs, not easy to find sometimes but they are too good to forego. I buy all my fruit on the street, it always fine. A trip to Cuba will be a lot less stressful if you don’t expect the same level of customer service that you may get in Germany or Japan . Things may be slow and a bit sloppy but I like to think of it as a cultural experience. Finally, a ferry across the bay to Habana La Regla is unforgettable. It’s just as old and lovely as Central Havana but quiet and relaxing. 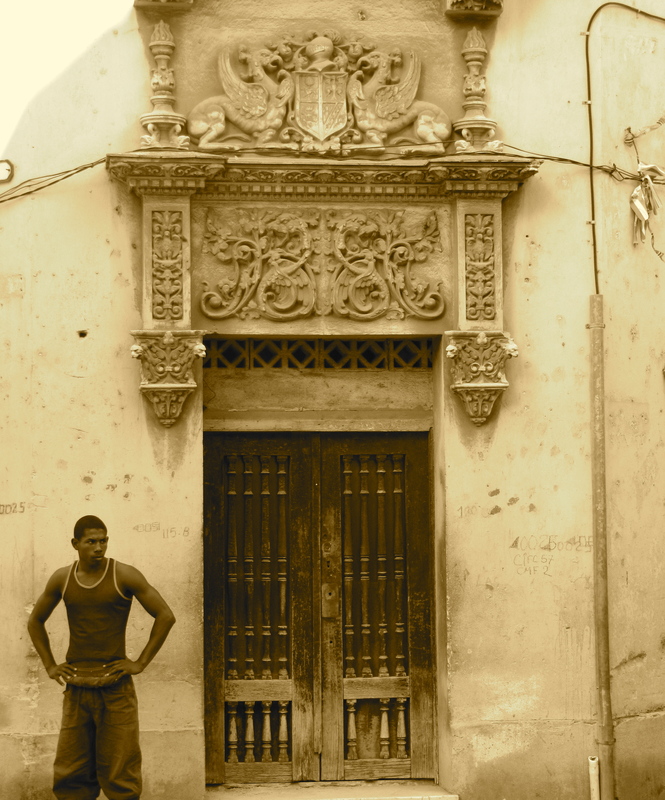 Santeria (an Afro-Cuban religion which looks a bit like Voodoo to the untrained eye) is alive and thriving in La Regla All are welcome to visit the Santeria churches Bring your own bottles of water if you plan to do a lot of walking. I’m writing all this in a diary to be blogged when I get home, so I will continue the Cuba section later. Great information, thanks. We are dying to go to Cuba but as US citizens it takes jumping through some hoops. Hoping to get it worked out next year.